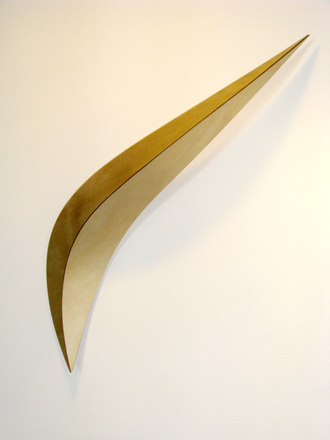 This wall mounted sculpture uses intersecting curved surfaces to create the strength and lightness of a bird's wing. There is a strong directional flow as if we see it soaring through the air. I love the visual softness of the natural timber, and have simply waxed the surfaces. And the keyhole wall bracket allows the sculpture to be turned to a number of angles.